Beautiful, engaging, inviting eyes are one of the most essentials components to a youthful appearance and are often the most colorful feature of the face. Our eyes are unique and allow for an incredible range of emotional expression. Age-related changes appear in the eyes – more than any other part of the body – due to squinting, sun damage and genetics. The skin of the upper eyelid loses its elasticity creating a wrinkled, saggy appearance while the lid starts its downward descent resulting in a tired expression that dramatically emphasizes aging. Blepharoplasty is a surgery performed to restore the upper eyelids to their more youthful, vital appearance. During the procedure, Dr. Yeh uses advanced techniques to remove excess fat, skin and muscle that are responsible for the aged appearance of the upper eyelids. Upper Eyelid Surgery does not correct Crow’s Feet, forehead wrinkles/ furrows or sagging eyebrows. Patients often choose to have a Forehead/Brow Lift and Injectable treatments to correct these issues. Any man or woman of any ethnicity with a desire to rejuvenate the upper eye area by correcting sagging upper eyelids – could be a good candidate for Dr. Yeh’s Upper Eyelid Surgery in Orange County and Newport Beach. Good health and realistic expectations are important when having any cosmetic surgery. Dr. Yeh typically uses local anesthesia with or without sedation to keep you comfortable during your surgery. Small, well hidden incisions are made in the crease of the upper eyelid and Dr. Yeh works through these to reposition fat, tighten muscles and remove excess skin if needed. This achieves a natural, youthful upper eyelid contour. Dr. Yeh may recommend cold compresses to help minimize and reduce swelling. Choosing surgery is a serious decision – many times it is life changing. Choosing a surgeon who is qualified and able to achieve the right outcome is critical. 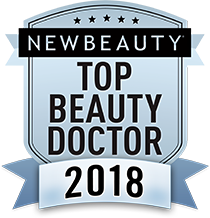 Dr. Yeh is a Board Certified -Fellowship trained – Facial Plastic Surgeon – which means he has many extra years of surgical and reconstructive training and experience, vast knowledge, meticulously honed skills and expertise beyond the norm. He has focused on and is specialized in all procedures of the head and neck. This does not guarantee a certain outcome – but can ensure you that he is a skilled expert and highly qualified to perform your chosen procedure.